There was a time when nearly every luxury sport sedan could be had with a manual gearbox. Now both BMW and Audi have abandoned that market, and a scrappy newcomer called the Genesis G70 carries the row-your-own gears torch. There’s not many out there, however. Get one while you can. Hyundai’s Genesis brand is in a bit of a tough spot. The automaker is entering a segment that is hyper-competitive with most buyers preferring to buy or lease something with a known badge attached to it. Genesis also does not have any crossovers in the lineup right now (though it will very soon) and we all know that is what the average car shopper is looking for. But they do have one advantage—a small sport sedan that is explicitly aimed and people who actually like to drive. The G70 is a very good car, it comes packed with a bunch of technology, looks sharp and has a killer starting price that undercuts the bare-bones BMW 320i. 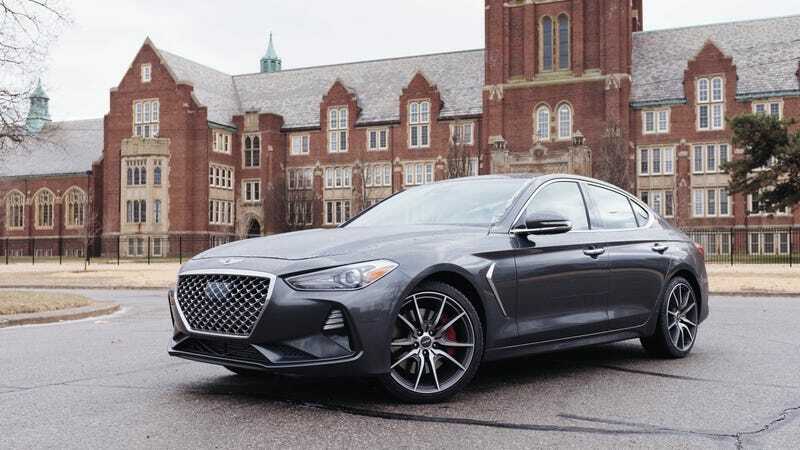 If you opt for the G70 manual, give up the larger 3.3-liter V6 and instead get a 255 horsepower 2.0 liter turbocharged four. Despite one of my colleague’s insistences that 300 is the right amount of horsepower, 255 ponies in a car of this size is more than enough to enjoy the drive because Genesis will also throw in limited-slip-differential, Brembo brakes, and launch control. This is the type of sport sedan that the Germans used to make. But here is the bad news: There aren’t that many G70s available with three-pedals. According to Autotrader right now there are 42 active listings for manual cars. Out of approximately 700 listings that is about 5 percent of the cars, and who knows how many of these are actually automatics with an improper listing. That means if you want manual sedans to live on, you need to do your duty to go buy or lease a manual G70 before Genesis follows the Germans with the trend of automatic-only “sport” sedans.